(CIFA) The Head Coach of the Cayman Islands Women’s Under 20 Team Joe Supe believes his side has the players and ability to reach the semifinals of the CONCACAF Women’s Under 20 Championships here in January. The Cayman Islands competes in Group B of the competition with neighbours Honduras, Trinidad and Tobago and CONCACAF perennial champions Mexico. Supe said, “I am pretty excited about the group. Mexico is going to be challenge but on paper we can qualify for the semifinals.” Focusing on his team’s opening fixture against Mexico, Supe believes a strong outing will strengthen Cayman’s chances of reaching the final four. Supe is a resident of California in the United States and Head Coach of the Irvine Valley College team. He was hired by the Cayman Islands Football Association to prepare the women’s team for their biggest challenge yet. After a week of assessments, Supe is pleased with the quality of players and their capabilities ahead of the tournament. “Technically we have players who can make a difference. In leadership players like Brianna Hydes and Jetena Bodden can push the ladies forward into believingthat something is doable and achieving our goals,” he said. Meanwhile, Hydes who is the captain of the team scored the winning goal in a warm up match against a Cayman Select Team on Saturday at the T.E. Mcfield Sports Complex. Hydes took a break from her studies at Southern Wesleyan University in South Carolina to participate in Coach Joe Supe’s week long training camp, organized to prepare the team for the CONCACAF Women’s Under 20 Championship January 9-19. The nineteen year old capped off a hectic trip with a goal in the 61st minute which set up Cayman’s 2-1 victory over the select side. Shanelle Frederick opened the scoring for the National team in the 32ndminute, before Hydes doubled the lead sixteen minutes into the second half. Kimberly Pitta pulled one back in the 75th for the select side. Hydes expressed her desire to lead by example when she takes the field in January. 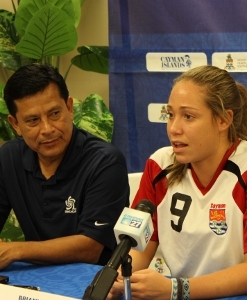 The CONCACAF Women’s Under 20 Championship kicks off on 9 January 2013 at the Truman Bodden Sports Complex. Cayman opens the tournament against Mexico before matches against Trinidad and Tobago and neighbours Honduras. The top two teams from the Group advance to face the best of Group A with the top three teams advancing to the Women’s Under 20 World Cup in Canada. (CIFA): In seven weeks of the Cayman Premier League season George Town Sports Club has shown a renewed focus on goal scoring; that was punctuated on Sunday with a 6-1 trouncing of North Side. George Town has scored 21 goals from their seven matches this season an average of three goals per game. The clinical goal scoring performances help George Town extend their lead at the top of the standings with 19 points. In Sunday’s clash Ariel Tatum started the rout in the seventeenth, then after the break, two own goals pushed George Town to a 3-0 advantage. Guiton King brought some hope back to the North Side bench in the 80th but Cesar Dixon and a double strike for Kevin Moore cancelled any plans of a comeback. Earlier Elite SC suffered a shock3-0 loss to Sunset. Justin Pierre (28th), Timothy Edwards (77th), Ben Hobden (90th) gave Sunset just their third win of the season. The victory pushed Sunset into fourth this season with 11 points just one ahead of Elite (10). 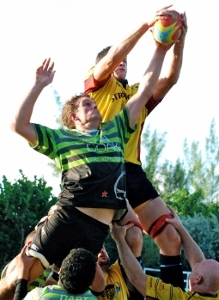 The loss to Sunset was Elite’s second loss in three weeks. Title-chasing Bodden Town and Scholars International battle to a 1-1 draw. Chris Douglas found the back of the net late to salvage points for the West Bay side after Thomas Bush gave Bodden Town an early advantage. Academy SC pick up their first win in five games by stopping struggling Cayman Athletic 2-1.
schedules and all things Cayman football. The games, both labeled as “warm up” games, do not count towards the domestic season but allowed coaches and managers a glimpse of new players strengths, overall team weaknesses and as is often a problem this time of year… fitness (or a lack thereof). 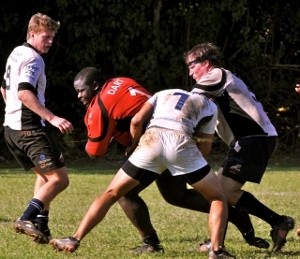 In the 2pm fixture a large Pigs Trotters squad which has been training hard in their spare time took on a thread bare Buccaneers side and most were surprised that the Pigs did not make easy work of the Buccaneers. The game was a high scoring and tense affair and in the closing stages of the match the Pigs Trotters were reduced to 13 men but even with the numbers disadvantage the Pigs Trotters held firm and thanks to a last second James Geary try the men in red took their first win over the Buccaneers in years. The 4pm fixture between the Iguanas and the Cayman Storm was a more one sided affair but an entertaining game none the less. The Iguanas were certainly rusty out of the blocks and ample handling errors and penalties gave the Cayman Storm plenty of ball possession. Ball possession which led to the usual trademark runs from Vanassio Tokotokovanua and Michael Sumares but none of the penetrating runs resulted in points for the Cayman Storm. Instead the Iguanas ran in 21 unanswered points even when they, like the Pigs Trotters before them played part of the game with men in the sin bin with yellow cards. The first real domestic season games (and the first chance of silverware) come with the Heineken Charity Shield/Wooden Spoon matches on 14 December. The title bout for the day is between the current holders of the Shield the Advance Fire and Plumbing Buccaneers vs. the current Alex Alexander Memorial League Trophy holder the John Doak Architecture Iguanas. The earlier 2pm fixture for the Wooden Spoon will be the “battle of the banks” when the Appleton Challenge Cup Holders, the Queensgate Bank Pigs Trotters take on the Fidelity Bank Cayman Storm. (CNS): The father and son inmates who busted out of HMP Northward both appeared in Summary Court Tuesday to face charges regarding their unlawful departure from the prison with a third man earlier this year. Steve Manderson (45) and his son Marcus (26) were wearing leg chains as well as handcuffs as they each made their way into the busy courtroom for separate appearances before the presiding magistrate, Valdis Foldats. Although the men’s cuffs were removed, the leg chains remained, giving an indication of the high security now surrounding the prisoners after their August escape. Marcus Manderson pleaded guilty for his more than three months of freedom, while his father has not yet entered a plea. Steve Manderson told the court that he had been refused legal aid and said that “somebody is trying to cover up something”, as he asked for time to try and find an attorney willing to act for him pro bono. His case was adjourned until 21 January, and since he is serving a life sentence for murder, the magistrate noted that there would be no serious prejudice to his case as a result of the delay. It is not clear what will happened to the older member of the incarcerated family duo because at present his sentence means life without the possibility of parole. While issues have been raised about the human rights implication and the need for government to address the challenge that the current mandatory whole life sentences for all murder cases poses, the current reality for him is that it would be impossible for any further imposition of a sentence. 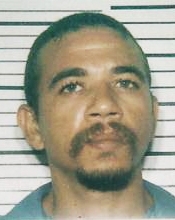 Manderson was recaptured in the Frank Sound area some two weeks after his sixth escape from custody. His son, Marcus Manderson, managed to remain on the run for over three months, with police suspecting that he had left the jurisdiction until an operation in George Town led to his recapture last month. The younger Manderson is serving a mandatory minimum sentence of ten years after he was found guilty of possession of an unlicensed firearm by a jury, which found the modified flare gun that police say he tossed over a wall during a chase was a lethal weapon. As a result, the courts will be able to add time to Manderson’s already lengthy time in jail and he is scheduled to face sentencing on Thursday. Chadwick Dale (20), a Jamaican national who escaped with the Mandersons, was the first to be recaptured and he was recently sentenced to another year in jail on top of his six year term for a violent robbery. (CNS): A 21-year-old Prospect man was jailed for four and half years Tuesday for the robbery of a Bodden Town pawn shop in May last year. Aaron McLaughlin got four years for the robbery and three years for possession of an imitation firearm, which Justice Charles Quin, the presiding judge, ordered to run concurrently. However, he was given a further six months, to runconsecutively, for threatening a police officer with the fake weapon following a chase after the hold-up at the Cashwiz store, where McLaughlin had stolen over $600 and a gold ring. The judge said he believed a drug debt had led the young man, who was of previous good character and had once been a top student, to commit the crime. As he handed down the sentence, Justice Quin said that McLaughlin had begun using ganja and then cocaine just before he committed the robbery, which was his first offence. The judge said it was this drug misuse and his association with criminals that saw him fall victim to these people over a drug debt, as he was also shot in the arm by an unknown gunman prior to the crime. Given the defendant’s previous good character and high attainment levels at school, winning awards and honours and displaying athletic as well as academic success, the judge said it was a tradgey that drug misuse had led him into serious crime. He was eventually tackled to the ground by the female officer before being arrested and taken into custody. Justice Quin also encouraged McLaughlin to use his time at HMP Northward to continue his education and try and complete his degree. He said the defendant was still young and could still return to the productive life for which he had shown potential when he was at school if he stayed away from drugs and the criminals with whom he had begun associating. Handing down the total 4.5 year sentence, Justice Quin ordered the time served by McLaughlin since his arrest after the crime some 18 months ago to be taken into account. (CUC-PFL): The 2013/14 CUC Primary Football League playoffs got underway Saturday with the first of four rounds featuring the top eight schools from the Under 9 and Under 11 divisions vying for the prestigious Champions Cups. In the Under 9s cup St. Ignatius Prep defeated Prospect Primary 4-0 thanks to strikes from Chad Owens in the 3rd minute, Daniel Rivers in the 32nd and Matthew Lloyd-Hickey in the 46th minute. Prospect’s Brevon Watson turned the ball into his own net from a corner in the 41st minute to complete the scoring. In other Under 9 games, Sir John A. Cumber Primary opened their playoff schedule with a 3-0 victory over South Sound Schools with the smallest player on the field Shanjae Bodden netting a brace in the 3rd and 36th minutes and Rashaad Powery adding the 3rd in the 40th minute. Savannah Primary continued their undefeated run with a hard-fought 1-0 victory over NorthEast Schools and Cayman Prep secured a 1-0 win over Cayman International School. In the Under 11 Champions Cup, St. Ignatius Prep defeated NorthEast Schools 3-1 with Brad Lansdell scoring twice in the 43rd and 49th minutes and Matthew Lloyd-Hickey clinching the win in the 53rd minute. NorthEast Schools’ Jacquan Miller had opened the scoring in the 13th minute for the boys from the east. In other games it was Savannah Primary 1 vs. Prospect Primary 1 and George Town Primary 2 vs. South Sound Schools 2. In the days feature game, defending Champions Cup winners and Opening Rally champions Cayman Prep faced Sir John A. Cumber Primary. Supporters for both schools were out in full force and although the score would end up 0-0, there was certainly no shortage of action at both ends. 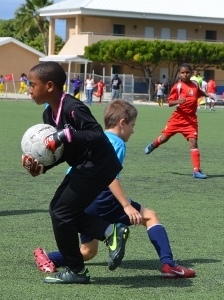 Cayman Prep went on the attack from the kick-off but found Sir John A. Cumber’s rearguard up for the challenge especially goalkeeper Omar Bodden who had an exceptional game. Cayman Prep constantly switched their attackers in search of goals with standouts Victor Thompson Jr., Harrison Hew, Aaron Jarvis and Igor Magalhaes sharing the touches up front. Sir John A. Cumber Primary were resolute in defence as they repelled attack after attack. Sir John A. Cumber’s primary attackers Jahrian Bodden, Daniel Wallace and Malachi Myles were themselves trying to find a “chink” in the Cayman Prep armour but found Joshua Small (above) on form in the Prep goal. Both schools were defending extremely well with most of the shots being hit from outside the penalty area. Prep’s Igor Magalheas had an effort cleared off the line as he steared a ball towards goal after evading the challenge of the centre back and Omar Bodden in goal. Prep’s Aaron Jarvis was finding his range as he drove a few shots goal wards only to find young Bodden equal to the task between the West Bay posts. As the game came toa close, Cayman Prep held the advantage in possession and shots but could not find a way through the Sir John A. Cumber defence. It was frustrating afternoon for the Prepsters and the Boys from the west seemed happier with the point, after all, this was the first time this season that Cayman Prep had not scored a goal. Special thanks to Dwayne Ebanks and Shakur Welcome for assisting with officiating duties. 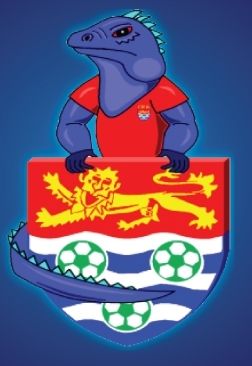 The second round of the 2013/2014 CUC PFL Playoffs continues this Saturday, December 7 at the Annex Field with 12 games scheduled in the Consolation and Champions Cup in both age groups. Fans of ‘the powerful game’ are invited back to the Annex Field for another exciting day of youth football action. (CNS): A 27 year old man who was arrested and charged by police this weekend is due to appear in the Grand Court next Friday in connection with an armed hold up of a courier van in George Town last year. Brandon Liberal is the fourth man charged in the heist in which the robbers are said to have escaped with around $9000 in cash. The robbery of the Sprint courier van took place outside Britcay House on 4 October, 2012 when robbers threatened the driver with a semi-automatic pistol before fleeing with the cash. Manuel Carter and John Cohen Ebanks have already pleaded not guilty to the crime and a third West Bay teenager, Tarick Crawford, who was charged later has also denied his part in the hold up. Although trial dates had been set in the past for at least two of the men legal issues have led to their adjournment. It is not clear if the crown will be seeking to add the latest defendant to the existing indictments and attempt to try all four men together. (CNS): An internal audit undertaken by the education ministry has confirmed some of the concerns raised by Premier Alden McLaughlin in the Legislative Assembly recently over scholarships awarded under the controversial Nation Building Fund. The audit found that several students receiving the education grants under this fund, which was created and managed by former premier McKeeva Bush's office, have in fact received significantly more cash than students on regular Education Council scholarships. McLaughlin said in a statement that this inequality would be addressed. The audit identified that during the 2012/13 academic year 116 students received some $2.25 million from the Nation Building Fund. 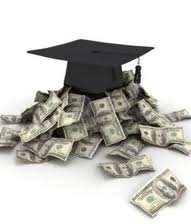 This covered high school scholarships to grants for post-graduate degree programmes. In a statement released by McLaughlin's office, officials said that most of the current students were receiving CI$25,000 or less, in line with the maximum scholarship award allowed under the scholarship provisions of the Education Council. However, 17 students were receiving between CI$27,000 and CI$63,000. These included two high school scholarship recipients, whose annual scholarship grants were US$69,590 for one student and the second was for a whopping US$71,810 per year. A third student also received CI$63,000 per annum for a tertiary grant. The audit also revealed that twenty-five students receiving cash from the NBF scholarships are receiving an Education Council scholarship as well. Nine of the fund recipients are also receiving a scholarship from the Ministry of Tourism and at least two were found to be getting cash from all three government departments. The audit also revealed that two sports-related high school scholarships had been awarded at a cost to government of CI$306,754 per year but the sports ministry had no involvement with these awards. "The purported primary purpose of these scholarships appeared to be to further the athletic skills of the high school students. However, the Ministry of Sports was not involved in setting any sports related standards or goals to be achieved," the premier stated in the release. In addition, the two recipients received a commitment for a three-year period for the annual scholarship of CI$28,000 per annum from 1 April 2013 to support their track and field training, reportedly in preparation for the 2016 Olympics. "Again, there was no involvement of the Ministry of Sports in awarding or administering this grant," McLaughlin said. Because there is no educational or scholarship component, administration of this cash has now been handed over to the Ministry of Sports. Students receiving money from the Nation Building Scholarships Fund have been informed that their funding will be in line with Education Council Scholarship funding and the government has invited them to give their views on the changes in writing to Cabinet. "It is government’s intention to level the playing field and establish proper and transparent criteria that will be applied to all scholarship applicants and recipients," the government said. Speaking in the Legislative Assembly recently, McLaughlin accused Bush, now the opposition leader, of political interference regarding the fund. He had suggested that when, as premier, Bush had created the controversial fund, he had also directed who got what amounts, which in some cases meant the cash went to the family of leading UDP members. The issue caused the former premier to hit back and deny having a political hand in the fund. He in turn accused the current premier of playing politics and not wanting to assist Caymanians. Bush admitted that some scholarships exceeded the limits of Education Council scholarships but said that was because these were young Caymanians who had the chance to go to specialist schools or take up specialist training and these days they needed more money. The opposition and UDP leader also berated McLaughlin for threatening to name students, and although the premier had indicated in the LA that one of the students was a child of Bush's former political assistant, he had not directly named the student or any others, despite threatening to do so. Bush said the premier could make him look bad all he wanted but he should not take aim at the students involved. (CNS): While local populations of Nassau grouper have suffered near catastrophic declines in the region, scientists studying them are doing their best to make sure that the next generation understands the groupers' role in the marine habitat and why they must be preserved. Educator workshops hosted by the Reef Environmental Education Foundation (REEF) and the Cayman Department of the Environment (DoE) are being offered to teachers this week in both primary and high schools, where they will learn more about the fish and be provided with the tools to pass that knowledge on to students in the classroom. Nearly 20 teachers are participating, representing over 15 schools from Grand Cayman, Cayman Brac and the Bahamas. At the free sessions on the Grouper Education Program, a marine sciences curriculum for students in Years 4 & 5 and Years 12 & 13, teachers will gain the materials and resources necessary for successfully implementing it in Caribbean classrooms. The project focuses on bringing the Nassau grouper into elementary and high school classrooms through lesson plans and interactive live-feed video sessions that connect classrooms with scientists in the field. 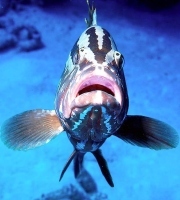 According to a release from REEF, the curriculum presents a multi-faceted view of Nassau grouper, in which students create their own understanding of this important fish. Key curricular concepts include the historical role of the species as an artisanal fishery throughout the Caribbean region, the grouper’s value as a keystone predator and its impact on local reef health, its role in today’s tourism-based economy in the Cayman Islands, and the conservation challenges facing Nassau grouper given steep declines in populations. In addition to classroom lessons, the program includes live-feed video sessions that take place at the research site on Little Cayman, allowing the facilitators to bring real-world field science into the classroom. These video discussions are supplemented with footage of solitary Nassau Grouper on their home reef, and the 4,000+ mass aggregation of Nassau Grouper that gather on the west end of Little Cayman during winter full moons. While the bulk of the lessons take place over the course of the two weeks in January and February, when REEF scientists and DoE staff are working at the spawning site, they have developed a set of pre-activities to help build background knowledge as well as follow-up lessons to help deepen the students’ learning experience. The curriculum was developed to complement the research and scientific efforts of the Grouper Moon Project. Grouper Moon educator, Todd Bohannon, along with Grouper Moon scientists Brice Semmens, Ph.D. (Scripps Institution of Oceanography), Christy Pattengill-Semmens, Ph.D. (REEF), and Bradley Johnson (DoE), have led the educational effort. Activities were developed in consultation with teachers at Cayman Prep on Grand Cayman, Verity Redrup and Brenda Bryce, and Cynthia Shaw, author of the youth fictional book, Grouper Moon. • How to effectively implement the Grouper Education Program in elementary and high school classrooms. • Working knowledge of the key historical, scientific, and conservation concepts about Nassau Grouper. • Technical training in utilizing the GEP blog, the live video-conferencing website,digital video cameras, and your own web camera. • Educators will also receive access to program materials and technical support. Bohannon said they were extremely excited to enter this new phase or expansion of the project. "We look forward to working with so many new schools and having the opportunity to share our work with educational institutions throughout the Caribbean," he said. The Grouper Education Program is a component of the Grouper Moon Project and is supported by a grant from the Disney Wildlife Conservation Program. If you are interested in finding out more about either of these workshop, please contact our Education Coordinator, Todd Bohannon at todd@reef.org. CNS): The advisory body established under the National Conservation Bill will be publishing all of its agendas and minutes and wherever possible the Conservation Council will hold meetings in public, the environment minister has vowed. 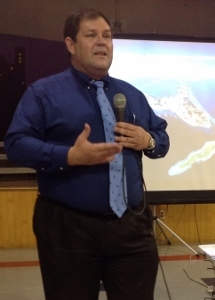 On Monday evening Wayne Panton told a very small audience at a West Bay meeting about the proposed law that the PPM was practicing truly open government with this new legislation. As environment officials begin the last public consultation on the long awaited bill, the minster told the audience that one of the amendments that this draft would now include before passage would be the commitment to transparency. “We want this council functioning in the open,” Panton said and told attendees that the entire law contemplates significant consultation. He said contrary to the myths circulating the Conservation Council was not all powerful and was simply an advisory body, except for land owned by government that was designated a protected area, where it would be managing the land. The legislation will be debated in the Legislative Assembly on Wednesday, and while the opposition leader and independent members have signalled their objections to the law, the bill has the support of the government benches and is expected to enjoy safe passage. Panton pointed out that the law was not being rushed or forced on people. It had been under discussion for more than a decade, had gone through several rounds of consultation and was part of the campaign agenda for the PPM and the C4C leading up to the elections. On being appointed to the post of environment minister after the election, Panton immediately indicated his intention to bring the bill to the Legislative Assembly before the end of the year. As a result of Panton’s commitment, after more than a decade of talking about it, Cayman will finally have some legislative mechanism that will help it meet its international treaty obligations, comply with the 2009 Constitution and manage its natural resources lawfully and sustainably into the future. It will also give Cayman’s unique and indigenous flora and fauna, such as the vulnerable silver thatch, the critically endangered ghost orchid and the islands endemic anoles and other lizards, some protection. Despite the myths circulating, the bill is far from draconian and merely creates a framework and regulations for how the natural resources of the island are to be considered in the face of future development. Department of Environment Director Gina Ebanks-Petrie pointed out that in many cases developers are surprised, even shocked, by the uncertainty surrounding environmental issues when they come to develop in Cayman and want to see laws in place that they can follow. The DoE director explained that they want to know what the guidelines and regulations are so they can conform and be more certain that the plans they submit for development will be acceptable. “Developers required a clear road map and a level playfield so they know what they need to do to get planning permission,” she said, pointing to the confusion that currently surrounds the requirement for EIAs. She also noted that while everyone talks about sustainable development, without the law there is no framework for it. Over the years, she said, she had seen people entirely misunderstand the term, as it is not “sustained development”. She said many people confuse the concept of development that the environment can cope with or sustain without adverse consequences with simple ongoing development that gives no consideration to the natural world. To date, the environment is almost never considered during planning applications and when pressed Ebanks-Petrie was unable to think of one single occasion when her department’s recommendations, which are submitted on almost every significant project, were even considered. While she said there had been occasions where modifications may have been made to smaller projects as a result of DoE submissions, she was unable to think of any major development where that had happened. Even under the new law there is still no compulsion for planning to follow the exact recommendations of the DoE and force a developer to do things differently in order to get planning position. However, with the NCL, in the same way that the Central Planning Authority will usually consider the recommendations of the Water Authority, the National Roads Authority and the planning department, it will now be required to consider the environment as well as socio-economic and infrastructure issues and suggest changes to developers to mitigate environmental damage. Panton pressed home the issue that the law provides for full public consultation on everything, from the species that will be designated as protect as well the land for sale that government might contemplate buying for conservation purposes. Cabinet, not the council, will have the last say on all decisions and all of them will be made, he said, based on feedback from the people. Regardless of the late objections to the law coming from the printed media, Panton said that after more than a decade, now was the time. Once the law was passed, Cayman would no longer be embarrassed by its complete absence of environmental legislation compared to other overseas territories and will finally have a mechanism for managing its precious natural resources, which are critical to maintaining the country’s tourist dollar. Meetings continue through this week across the six districts. The environment minister, the DoE director and her team will all be in Bodden Town Tuesday evening at the Civic Centre.